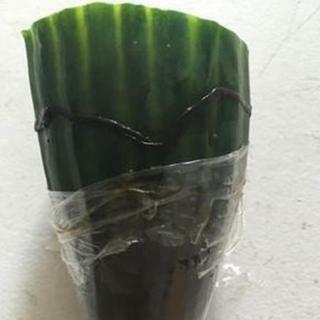 When Wes Metcalfe bought a cucumber from a Tesco shop in Dinnington, South Yorkshire, he did not expect it to come with a dead worm. So put off was he by the creature wedged inside the packaging, that he turned to Facebook to let Tesco know why it would be a while before he tucked into another cucumber sandwich again. Tesco's comical comeback and Mr Metcalfe's response to it have gone viral. It started on Saturday, when he posted: "Dear Tesco, yesterday I purchased one of your fine cucumbers to make my favourite dish - a cucumber sandwich. Tesco's equally tongue-in-cheek response began: "I'll be heading to a muddy festival shortly, trawling through the fields of damp grass and dirt much like William would've during his happier times. Although life takes funny turns, we can all learn from William the worm. Let us gather, light a candle to burn, and celebrate the life of William the worm. Lights shine bright, let's eat sponge cake through the night! Because there's many a lesson to learn. So moved was Mr Metcalfe by Tesco's tribute, he shared a picture of William the worm's grave, with the post: "Funeral update: well what can I say? It's been an emotional day, but the funeral went without a hitch. It's time to reflect on the lessons we can learn. After he was crushed to death in a cucumber I bought. Tesco, please don't let this happen again. Don't let William's life be lost in vain. But let's not focus on who's to blame. Tesco have apologised admitting their shame. Sharing jokes and spreading cheer. Spending his days in the mud on his own. William the worm - the viral superstar! The conversation did not end there. Tesco replied with their interpretation of Wonderwall by Oasis, and Mr Metcalfe responded with a version of Blur's Parklife, which he renamed Worm life. The Facebook conversation has been shared more than 30,000 times and has had more than 10,000 comments since being posted on Saturday. Mr Metcalfe, a trainee electrician from Sheffield, told BBC News: "I enjoy making people laugh, but you just can't tell what will go viral. "I think it went crazy because Tesco's responses were so good. "If they hadn't replied in such a fun way, then it probably wouldn't have gone so big on the internet. "I've had a mostly positive response, but one lady didn't get the joke and told me off for making a fuss about the worm." Mr Metcalfe said Tesco had offered him a £10 gift voucher to cover the cost of William the worm's funeral. "I think Tesco have more than made up for it," he said. "There is enough seriousness in the world." Mr Metcalfe also confirmed he would start eating cucumber sandwiches again.